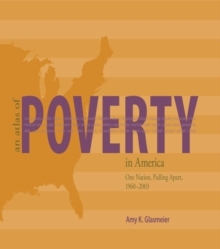 Persistant poverty has long been one of America's most pressing and intractable problems. According to some estimates, by 2003, almost twenty-five percent of the America's countries had per-capita incomes below one half the national average, high unemployment, low labour force participation rates, and a high dependency on government transfer payments - all measures of economic distress. 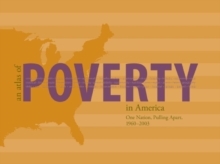 An Atlas of Poverty in America shows how and where America's regional development patterns have become more uneven, and graphically illustrates the increasing number of communities falling behind the national economic average. 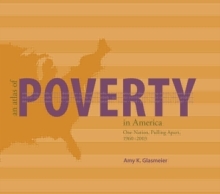 Readers will be able to use this Atlas to see how major events and trends have impacted the scope and extent of American poverty in the past half-century:economic globalization, the rise of the sunbelt, decline of the welfare state, and the civil rights movement. Also includes 195 colour maps.